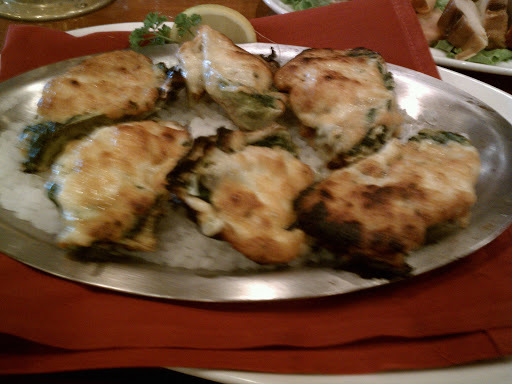 The best Oysters Rockefeller I've ever eaten were at the Fish Market. All Fish Market restaurants do the same fine job making them. I've ordered these at other restaurants and every time they've been runny and have shell chips in them. The Fish Market's are never runny. Just make sure you don't accidentally eat one of the rock salts that they're served on.